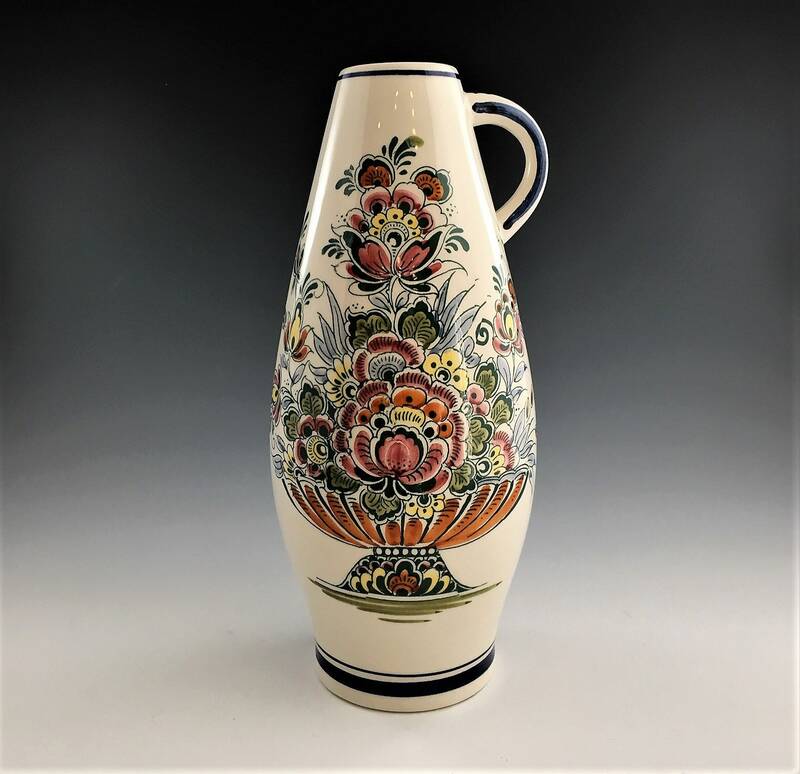 Featured is a gorgeous example of vintage dutch pottery. 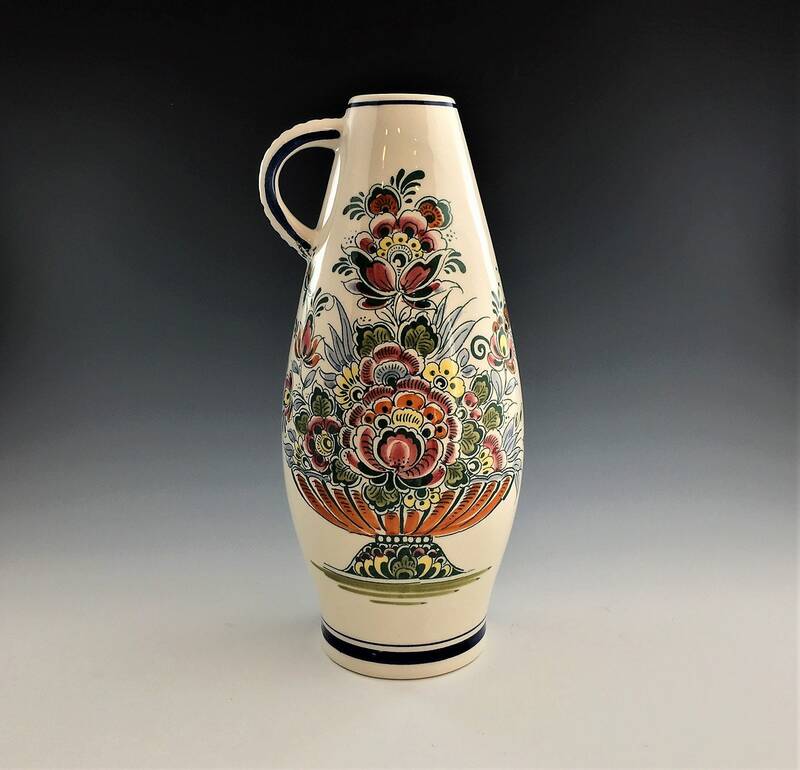 This ceramic vase has a handle and a floral motif. It measures about 10 1/4 inches tall and is about 4 1/4 inches in diameter at its widest point. 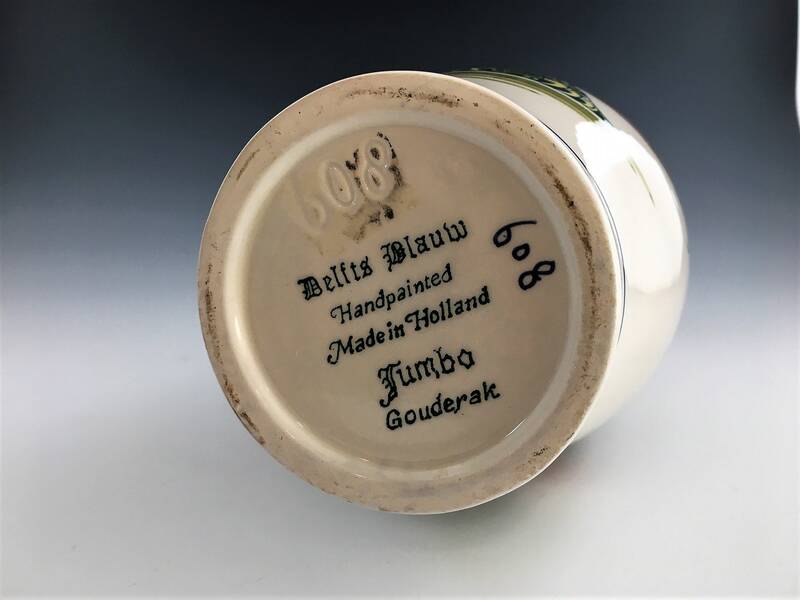 The bottom reads "Delfts Blauw" and "Handpainted Made In Holland." It also has the number "608" and "Jumbo Gouderak." 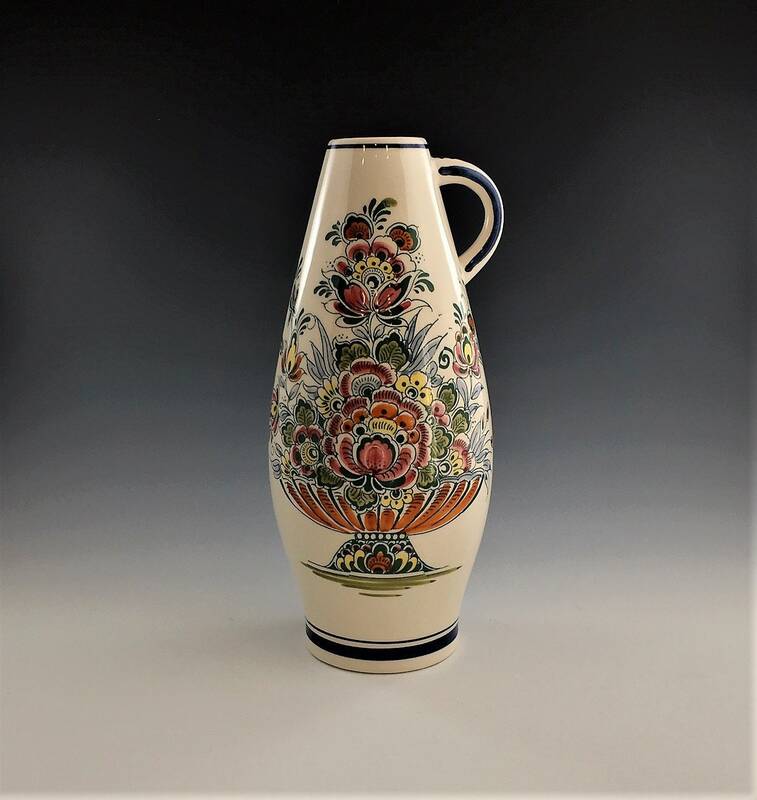 The vase is in excellent condition, free from any chips or cracks. As seen in the photos, there is a bit of shelf wear to the bottom that may clean right off.